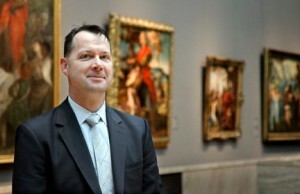 Become Career » How Do I Become a Museum Director? The duties carried out by a museum director are determined by the type of museum being directed; however, for the most part, the director will supervise museum technicians and curators. When a conflict arises, it is the director’s responsibility to make sure the issue is resolved in a timely and effective manner. A museum director will also spend much of his or her time coordinating educational programs and different type of fundraisers and sponsorships. Some directors may even be in charge of payroll tasks, scheduling tours and more. If you are interested in becoming a museum director, you will have to go through much formal education as well as gain much experience in the museum industry. To become a museum director, you will need to obtain a master’s degree in museum studies or some type of related field. In addition, you will need to gain a sufficient amount of work experience. In this line of work, you will find it beneficial to gain a competitive edge by earning a doctorate degree. While you complete your educational studies, you need to take part in as many internships as possible. In doing this, you will gain much hands-on experience as well as help yourself fully understand the complex role of being a museum director. Taking part in internships will also help you get your foot-in-the-door at possible future places of employment. A bachelor’s program will take about four years to complete; however, accelerated programs are available. If you go to school full-time, through an accelerated program, you may be able to finish your undergraduate degree program in as little as 30 months. After you complete your master’s program, you will then want to complete a Museum Studies Comprehensive Exam. In doing this, you will prove to employers that you have the knowledge it takes to successfully direct/manage a museum. The job duties carried out by a museum director are complex and large in number. Keeping this in mind, it makes perfect sense that you will need to go through much training to become a successful museum director. The quickest way for you to enter into this profession will be to earn your undergraduate degree, followed then by immediately earning your master’s.